This is a personalised Paperweight Compass a perfect gift for anyone about to go travelling or as a wonderful reminder of places visited ! 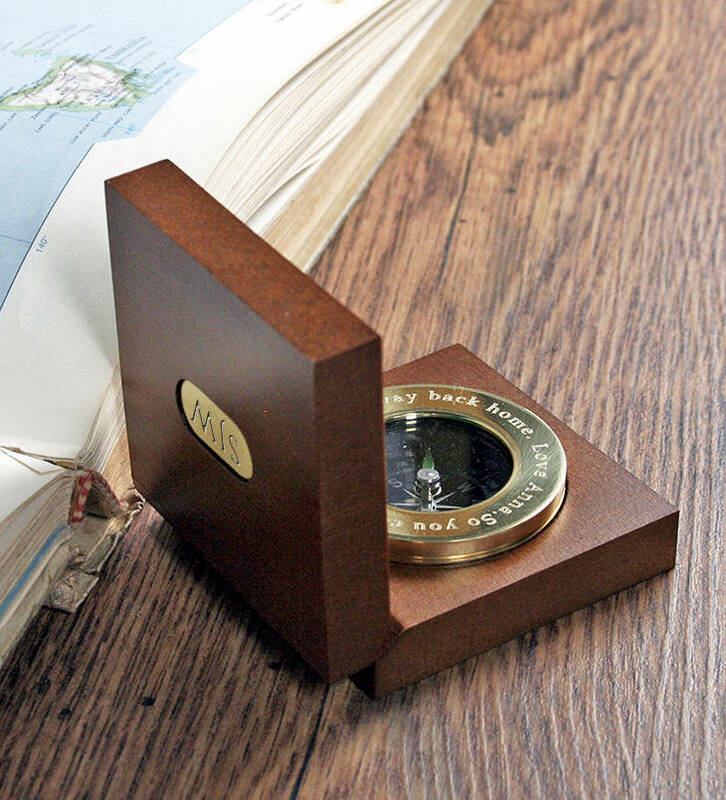 Our expert engravers will engrave your message around the Solid Brass compass , and you can also add your Initials onto the Brass Plate attached to the lid of the Mahogany Box . Sometimes the process of engraving can cause fine scratches to appear. 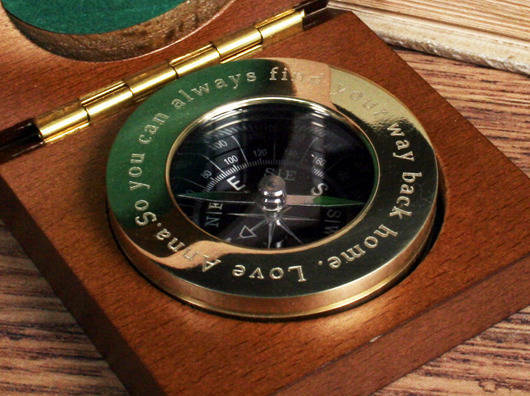 The message we have used on the compass in the photograph is "So you can always find your way back home." 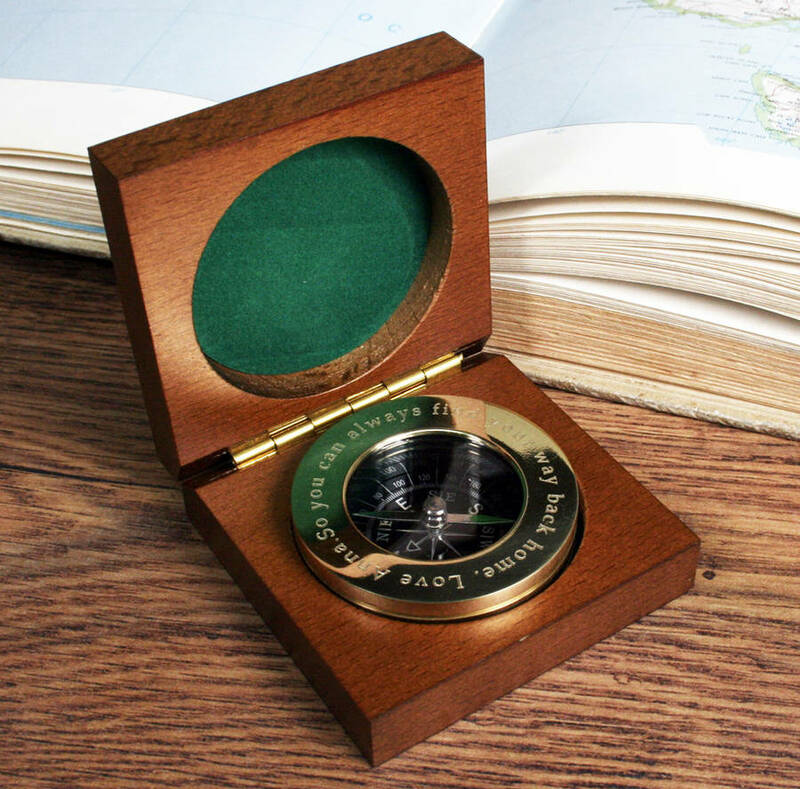 Perfect as a gift to give someone who is travelling to remind them of you on their adventures, and to help them find their way home !